Two days in Panama City was certainly enough time, so I decided to go to the Caribbean side of Panama to the town of Portobello, about 90 minutes away by bus with my friend, Morgan. All long-distance busses leave from the Albrook bus terminal, located about 20 minutes from Luna’s Castle and charge a rate of $1 per hour on the bus. Despite being a country where temperatures never drop below 75 degrees, the busses in Panama are air-conditioned to Greenland-like temperatures. Despite wearing a sweatshirt, I was still frigid. 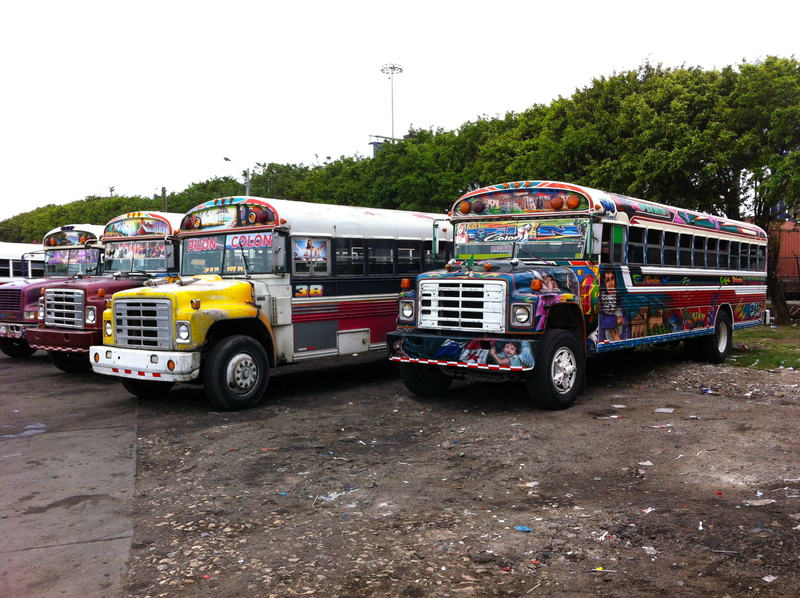 Panama’s busses are actually quite famous for their hand-painted decorations. Bus service did not go directly from Panama City to Portobello, so we had to take the bus to Colon, the most dangerous city in Panama, and change busses about 20km before arriving in Colon. About 20km before Colon, the bus stopped and we prepared to exit the bus. Just to make sure we were going to the correct stop, I asked the bus driver and he said to wait until the next stop. 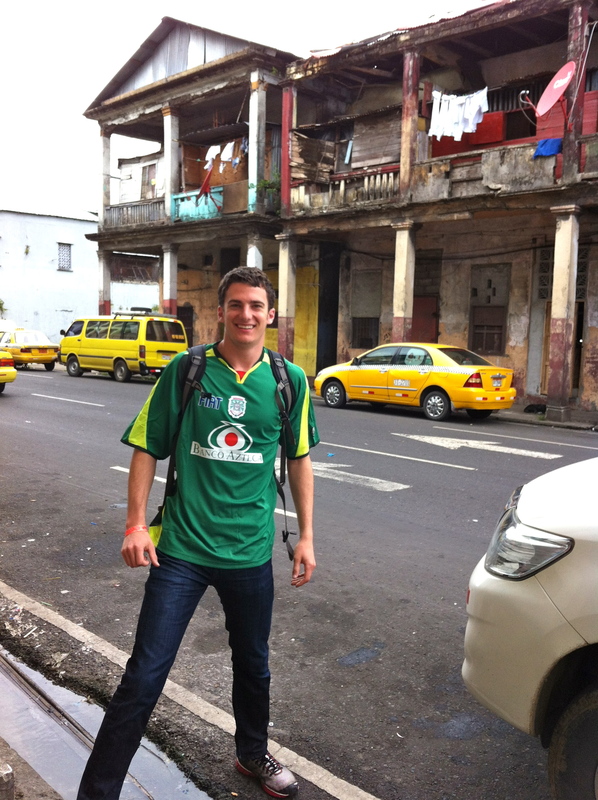 Unfortunately for us, the next stop was the city center of Colon. From Colon, Portobello was another hour-long bus ride, so going there and returning to Panama City during the day would be nearly impossible without jeopardizing the trip to the San Blas leaving in less than 24 hours. 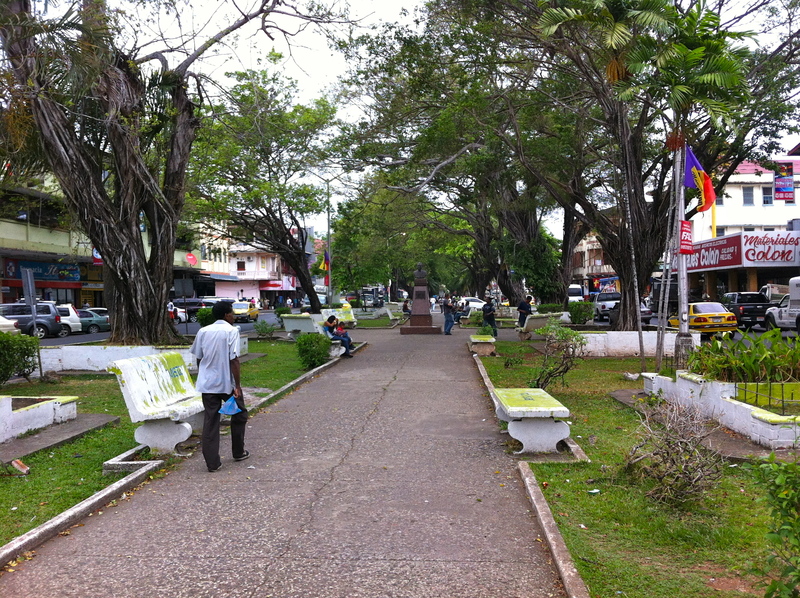 Therefore, we decided to walk around Colon, since we were already there. Colon is actually two different cities. As the Atlantic gateway to the Panama Canal, Colon is a popular destination with cruise ships. However, they actually dock across the bay away in a walled tourist compound called the Colon Free Zone. The real city was devoid of tourists, but was full of life and beautiful colorful ruined wooden buildings, as the city probably looked amazing in 1950. 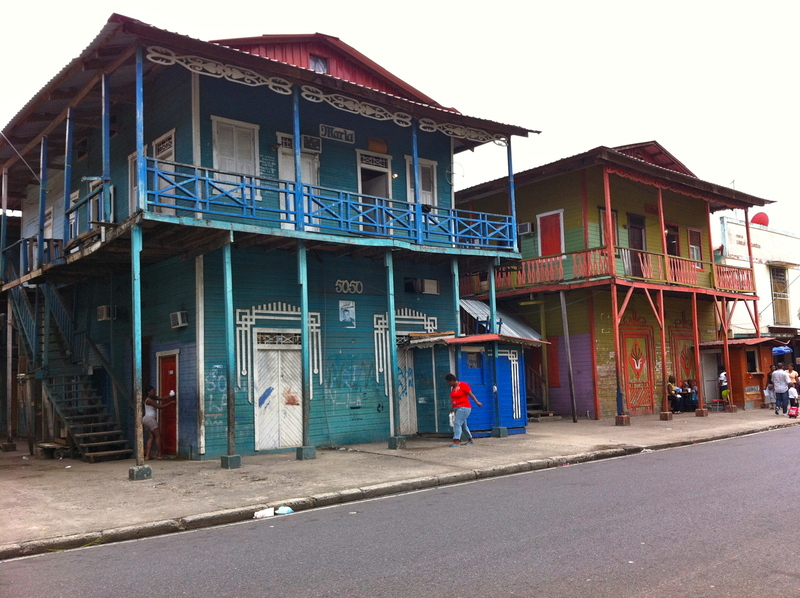 However, almost every building in modern Colon was dilapidated and in horrible shape. Utilizing the same strategy as in the sketchy neighborhood in Panama City (look confident, walk deliberately, do not take out cell phones unless the coast is clear, and talk to no one), Morgan and I explored the streets of Colon. After walking around Colon for about an hour, I decided to try to catch a taxi to take us to castle San Lorenzo, a UNESCO World Heritage site located near Colon (according to maps I had studied). We flagged down the nearest cab, which turned out to be the luckiest occurrence of the trip. 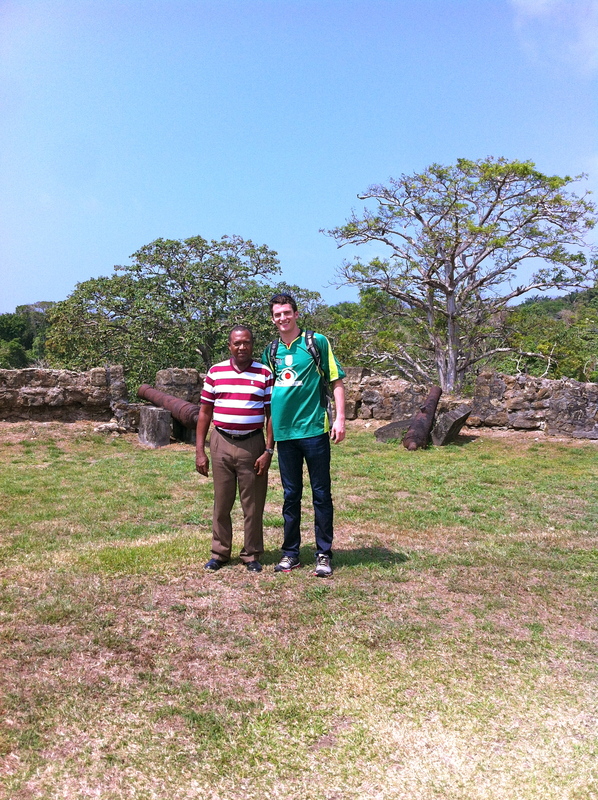 The cab driver’s name was Sherwood and claimed to be the only English speaking cab driver in all of Colon. Self-taught in English, he called himself Sherwood after the forest in his favorite novel, Robin Hood. 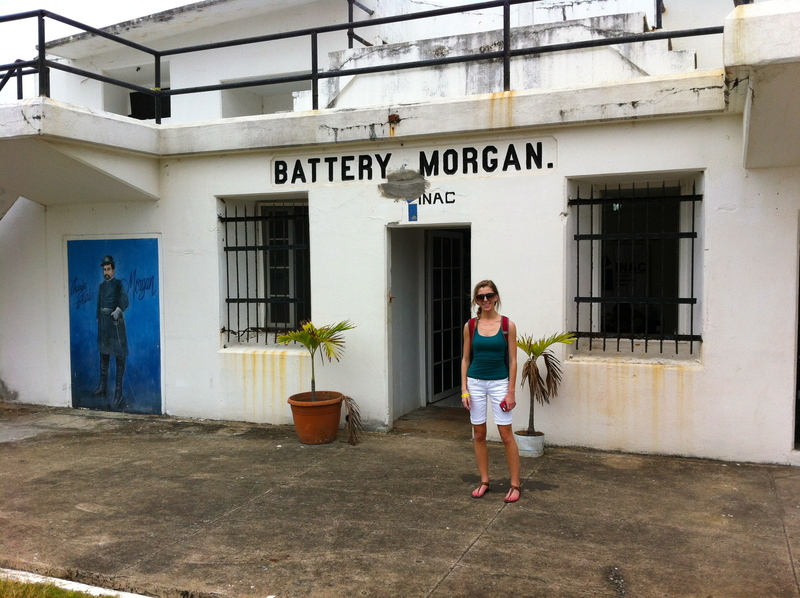 He decided to give us a guided driving tour of Colon to see the sites we had missed while walking around including a former US Military base called Battery Morgan. I then asked him if he could take us to San Lorenzo. Unfortunately, his car was not in good enough shape to make it to San Lorenzo, but he said that he would find someone trustworthy who could take us. Eventually, he pulled up behind another taxi next to the ruined cathedral. He then discussed with the taxi driver, who was apparently Sherwood’s church friend, in Spanish our desire to go to San Lorenzo. Because the trip was an hour each way on a dangerous road, he wanted a flat fee for the trip. I bargained the fee down from $120 to $50 for the round trip and agreed to pay half upfront and half after returning to Panama City. After accepting the terms, Sherwood gave the driver his toolbox before saying farewell. The drive to San Lorenzo took almost an hour. 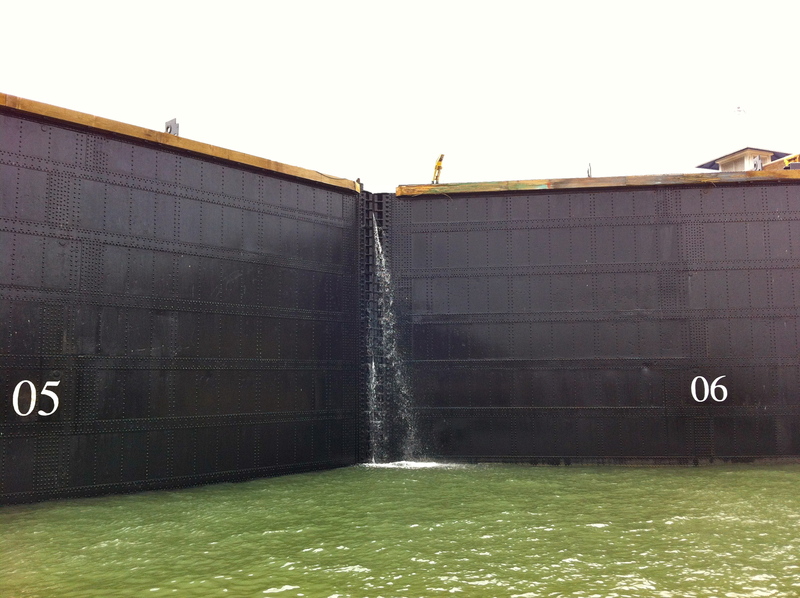 It involved us crossing the Gatun Locks of the Panama Canal. We drove right next to the bottom of the gates as a ship was being lowered down. Imagine what would happen if the gate somehow opened and the ship and the floodwaters were to come onto the road. The road continued for another 30km through thick jungle. There was a military checkpoint guarding an abandoned village of 3 story white dilapidated barracks. 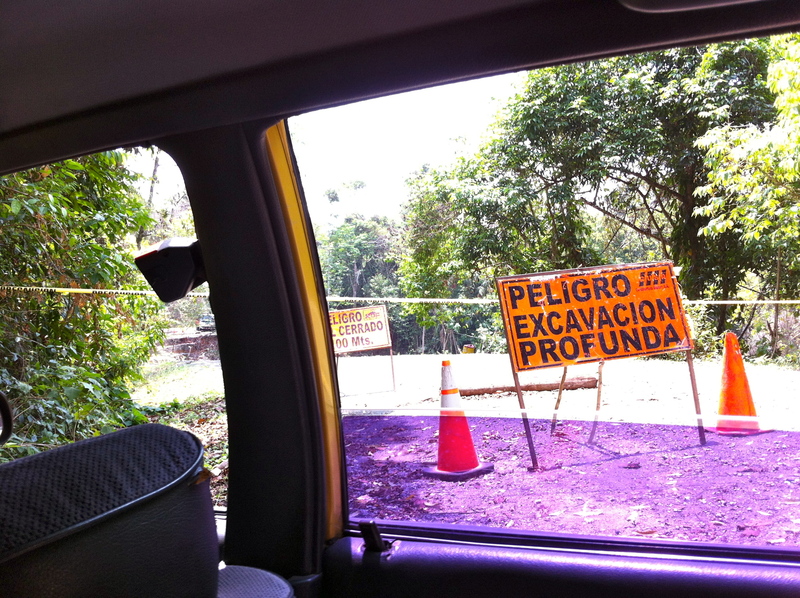 Later on in the jungle, the road collapsed into a huge ravine and we were detoured through a 4-wheel drive dirt road through the jungle. The entire drive there, I was unsure if the cab driver was going to take us into the jungle and leave us. Lucky for us, both this cab driver and Sherwood were good and honest people. 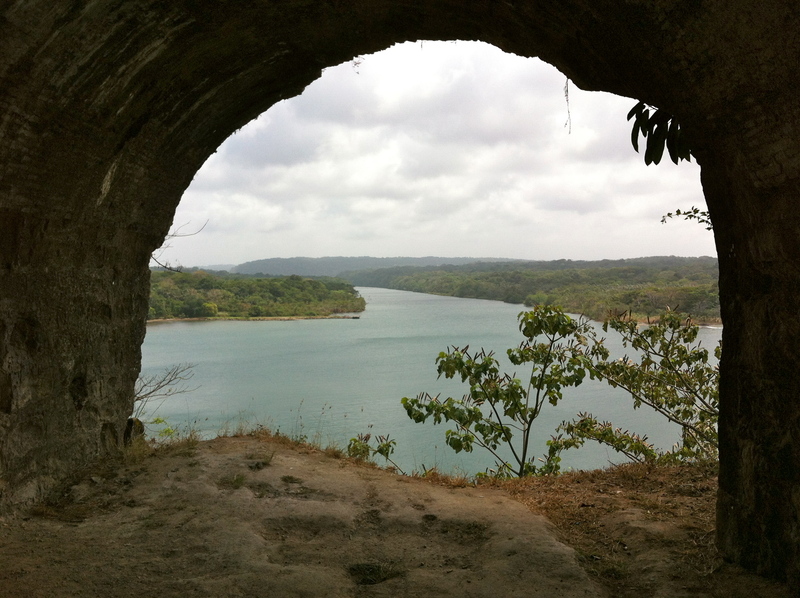 Eventually, we made it to San Lorenzo, a Spanish fort built in the 1600’s atop a cliff at the mouth of the Chagres River. Columbus actually discovered and named the area on his fourth voyage to the Americas. While I have been to a number of ruins, San Lorenzo was special because Morgan, me, and the cab driver were the only people there. There were no crowds, no safety guard railings, and no informational signs, which made it feel like we were the first people to discover the ruins. 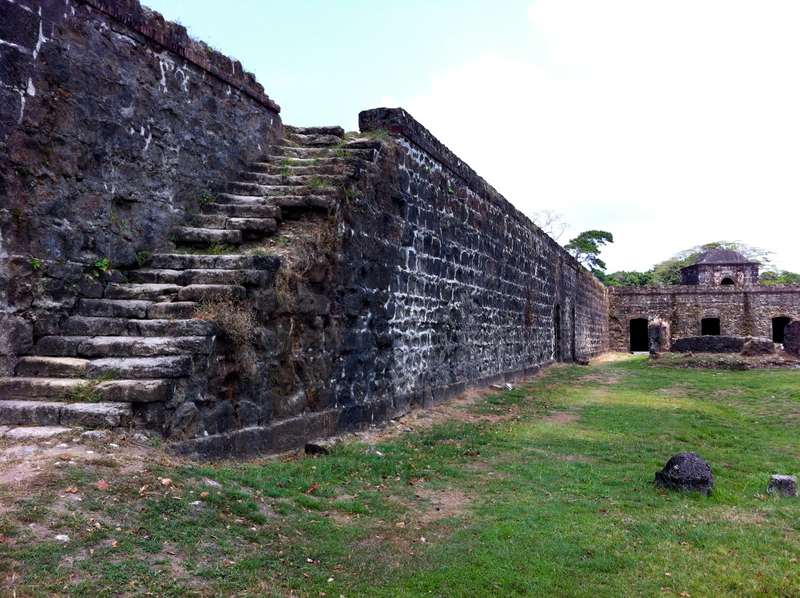 The fort still has original cannons with the seal of the Spanish king. We stayed for about an hour before driving back to Colon. Upon arriving at the bus station, Morgan and I had an awesome hug, as we were very thankful to have successfully survived this adventure. I could not have done this without her, as having an extra person made traveling through Colon considerably safer and I did not have enough cash on hand to pay for the cab. While I am oftentimes stubborn about traveling solo, sometimes it is better to have a traveling companion. Back in Colon, we caught the same bus back to Panama City. With the cab driver who drove us to San Lorenzo and back. In addition to being Panama City’s main bus terminal, Albrook is also the site of Panama’s largest mall. The mall looked very similar to a mall in the United States and had many of the same stores. One store that struck me was called Campus University and sold clothing that stereotyped college clothing. 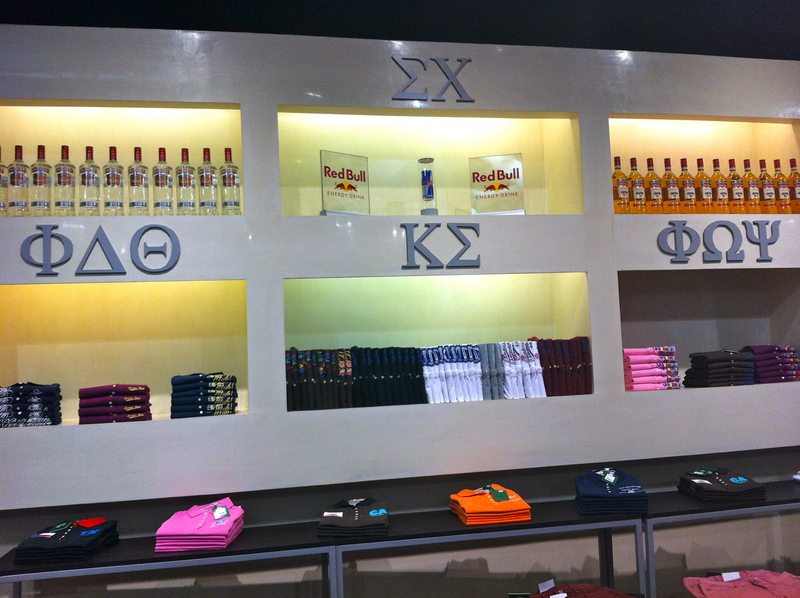 They even sold fake fraternity t-shirts. After checking out the mall, we took a cab back to Luna’s Castle before going to bed early. Not only were we exhausted from the events of the day, but we had to be up at 5:30 am to go to San Blas.